An easy to use, affordable and rugged removable disk cartridge that provides data protection for workstations and entry level servers. When used with an RDX docking station, it is the ideal entry level backup solution for micro or small companies who want to focus on running their business, not their backup. 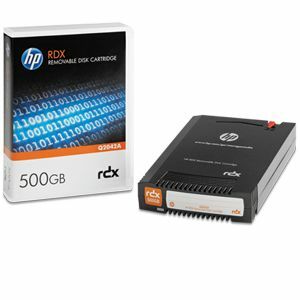 Backup data at fast hard drive speeds and restore critical files in seconds with random disk access. Broad compatibility with a wide ranger of servers and operating systems.